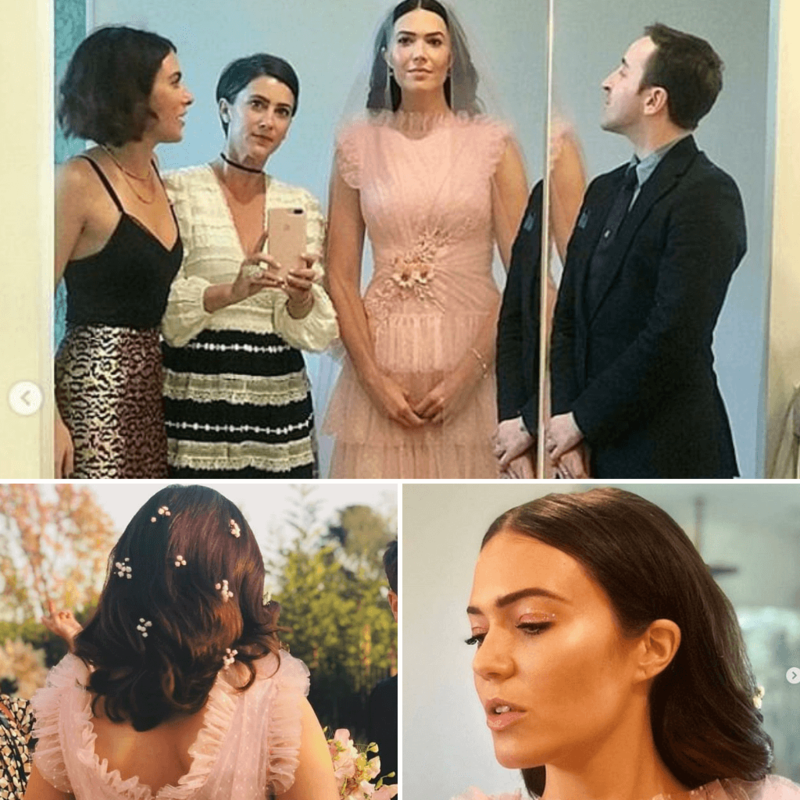 Congratulations to the This Is Us actress, as she wed Dawes singer-songwriter Taylor Goldsmith on Sunday, November 18, in a private ceremony in Los Angeles. 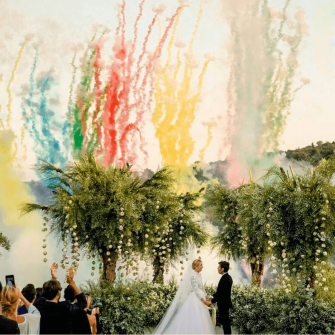 Sharing the happy news to her 3.1 million Instagram followers, Moore give us a sneaky first look at her stunning dress and handsome new husband. The ceremony was an intimate backyard wedding at Moore’s home, just after sunset. It had bohemian vibes with chic, vintage rugs around the altar and feathery flower arrangements. Afterward, its reported they went to Fig House, a private event space, and Taylor performed. Check out some of the looks that the venue styling team created. Speaking ahead of her wedding, Moore revealed she had no plans to wear a traditional white wedding dress because she’d already been married once. Moore, who has been killing it on the red carpet in recent years, looked incredible. She opted for a tiered Rodarte gown, in a stunning blush pink. Her hair was kept simple, with loose curls and tucked neatly behind her ears, with clusters of baby breathe scattered within her wavy locks. Her make up was natural, with glistening eye shadow, dewy rouged cheeks and a natural lipstick completing the look.